Print Management Software for Security, Cost Control & Peace of Mind. 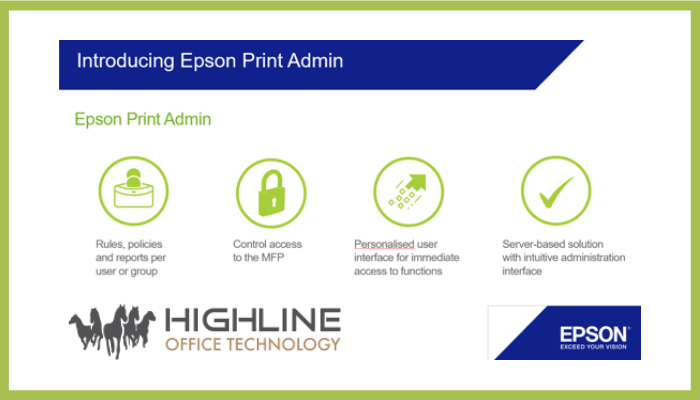 Simply put, Epson Print Admin is a print and cost management solution that will help you put manners on your printing! As not a particularly technical person, I ask a lot of very simple questions about what the software and technology can do for me, so I know how to explain it in layman’s terms for my customers. And with that, I thought I’d spend a little bit of time looking at Epson Print Admin, as I think it’s quite nifty. Printing can be a resource-heavy activity, and organisations want to know that they’re working efficiently and sustainably. With EPA’s print management tools, like pull printing (where documents are only printed once the user releases the job at a compatible device), rules-based printing and duplex printing, EPA represents huge energy and cost saving opportunities. It can also help businesses meet EU environmental targets, attain environmental certifications, and environmentally responsible behaviour. So here’s the lowdown on what I feel you need to know to get started. 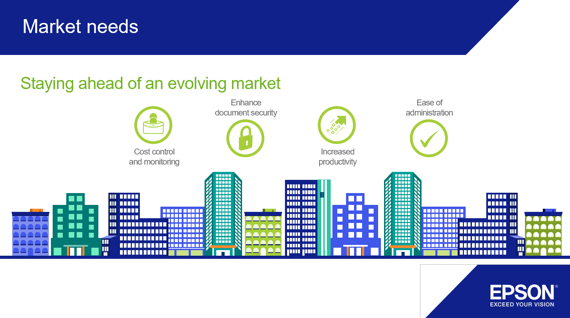 The current market is always evolving, and Epson truly strives to stay ahead of its needs. Right now, customers want to educate their employees to have a responsible printing behaviour and enforce rules where necessary. The ability to automatically authenticate and identify users and their access profiles is also high on their wish-lists. Simplicity is key – any printing solutions must include limited training and easy-to-use menus. Likewise, ease of administration is fundamental, as customers want an all-in-one, wizard-driven installation routine. Control access to the MFP and create a set of rules for usage, e.g. rules, policies and reports per user or group. For instance, administrators can assign print policies based on workflow, with, for example, the ability to force all printing of Outlook email to black and white, removing the risk of anything in the email text generating a full-colour click charge. Print rules also mean that you can automatically set all documents to print double-sided. Personalised user interface for immediate access to functions. Server-based solution with an intuitive administration interface. How many users? For up to 10 users, the software can be run off a laptop. This just means you need to have the laptop up and running in order for the software to be live. After that, for more users, the software must be server based. On the 75ppm and 100ppm Enterprise machines, EPA can be embedded on the device so it can be serverless – now, just to mention, this version isn’t free, but it does come with a month free trial for any interested users. If you have Epson printers or multifunctional devices (MFDs), you can get the EPA software absolutely free for the first two devices. If you have more devices, you pay for a licence for every third machine, so in essence, e.g. Machine 1 & 2 – FREE, Machine 3 – licence, Machine 4 & 5 FREE, Machine 6 – pay the licence and so on. For me, this is mega as it’s not often we get anything for free in this world of ours, so it’s a big high five from me for this. Epson Print Admin or EPA can be put on A4 and A3 standalone printers and on A4 multi-functional devices or A3 multifunctional devices. Again, we think this is awesome! User authentication – ensuring secure printing, scanning and copying card readers, logins/passwords and PIN codes. Pull printing – holding print jobs until the user releases them, increasing security and reducing waste. 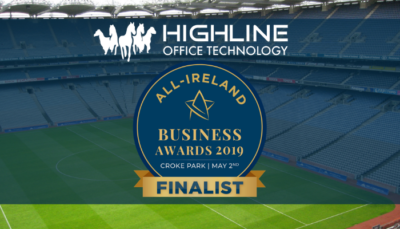 Customers are concerned about their sensitive documents not reaching their intended recipients or getting mislaid in a busy office or school environment. Scan and send to me – increases productivity by sending an email with the scanned document attached to the authenticated user at the touch of a button. Scan to email/FTP/ folder – improving efficiency by scanning and inserting the documents directly to an email, FTP or folder. Advanced reports and accounting – enabling the accurate tracking of cost allocation per client or project for better visibility of all the costs relating to an individual case. LDAP synchronisation – enabling easy integration into existing IT infrastructure. Billing code – EPA can allocate billing codes and match print usage to cost-centres, ensuring easy budget management. What’ll EPA do for your business or school? What are some of the benefits to embracing this software? With EPA, you have the opportunity to create print rules and policies, which will in time encourage cost-effective, low-waste printing behavior. The rules can force duplex printing where possible. It’ll help with cost accounting – you’ll be able to identify the top printers in your organisation, business or school. This ultimately leads to a reduction in print as people are less flippant when they know it’s being tracked. You’ll enhance your security: Grant access to employees based on their role. Once authenticated, the user is granted access to the functions assigned to their role or department. 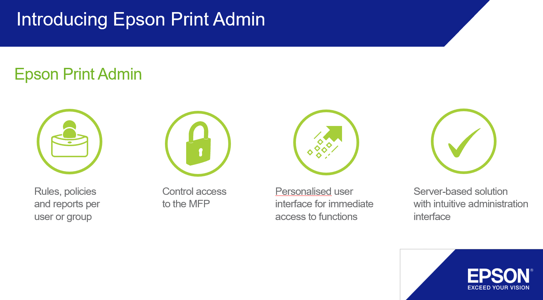 With Epson Print Admin, user profile authentication protects against unauthorised use of your devices, creating a secure printing, scanning and copying environment. Employees are identified using ID cards, typed login credentials or a pin code. 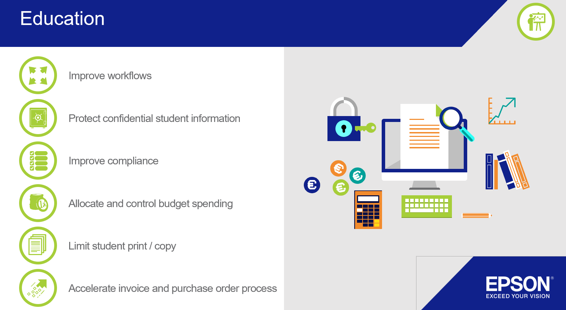 Integrating Epson Print Admin into a customer’s company’s environment can help customers to control their costs and monitor how their print assets are being utilised. Print authentication (that old GDPR chestnut!). The print release function can operate by pin-code, swipe card or other authentication method as deemed efficient by the organisation. It’s imperative that organisations know who is printing what, as part of a traceability and trackability audit, should there ever be a breach. Pull printing – release documents at any convenient device in your organization or school. Allow you to apply rules to restrict printing or scan functionalities,g. maybe only certain individuals can operate certain functions on the machine – it’s all about security! 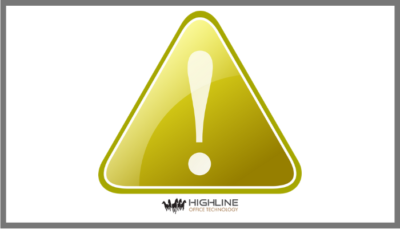 Jobs can be purged to a set time scale, so this ensures security. Plus, as there are no hard drives on the RIPS machines, there is no storage of data on the Epson devices. If you’d like to find out more about how Epson printers, multi-functional devices and the EPA software can help and benefit your business or school, get in contact today at [email protected] or call us on 01 4097034 for a quotation and recommendation. We are always delighted to run a FREE health check on your equipment, to ensure it’s fit for purpose, GDPR compliant, has the necessary security functionality set up and is helping you win more business or manage your costs most effectively!